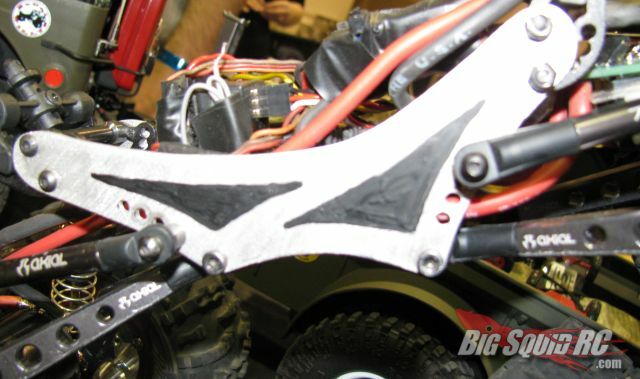 Prototype Chassis for Axial XR10 from RCP Crawlers « Big Squid RC – RC Car and Truck News, Reviews, Videos, and More! RCP Crawlers was putting on a big show at the RC Expo 2011, with a booth full of awesome scalers and a large crawling course with demos going all day long. The big news out of their booth though, was their new Progress chassis for Axial’s XR10 super crawler. While it’s still an early prototype at this point, when put into production the Progress will increase the clearance of the XR10 with it’s radiused bottom and multiple linkage mounting positions allow for a ton of tunability. When the Progress is finalized and available, we’ll let you know. For now, hit up the RCP Crawlers website to see what else they offer.